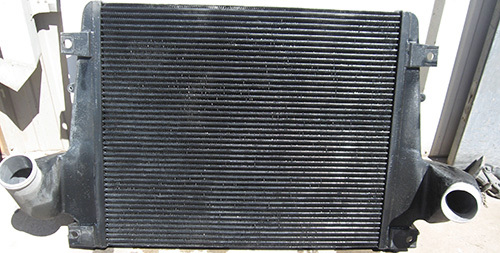 Phoenix Automotive Charge Air Cooler Repair from Colby Welding & Radiator, Inc.
Colby Welding & Radiator, Inc. offers automotive charge air cooler repair services for the Phoenix metropolitan area. Our technicians have extensive experience dealing with car and truck charge air coolers and our repair services are fast, efficient, and precise. A charge air cooler is often referred to as an intercooler, turbo intercooler, or aftercooler. When you need a car intercooler repair or an intercooler repair for a heavy duty construction vehicle, you can count on the professionals at Colby Welding & Radiator, Inc. every time. Phoenix Automotive Charge Air Cooler Repair Service Benefits from Colby Welding & Radiator, Inc.
At Colby Welding & Radiator, Inc., we know you have many choices in Phoenix when it comes to auto charge air cooler and intercooler repair services. However, we firmly believe that our level of experience dealing with charge air coolers for cars and trucks is unmatched in the state of Arizona. Our technicians have over 150 years of combined experience, giving us quite the edge when it comes to diagnosing and repairing any number of issues you could be experiencing with your automotive intercooler. Choose Colby Welding & Radiator, Inc. and you’ll get friendly, personal customer service and precise automotive charge air cooler repairs time and time again. For professional automotive charge air cooler services in Phoenix, contact Colby Welding & Radiator, Inc. today at (602) 258-7147. To learn more about our turbo intercooler and aftercooler repair services for cars and trucks, you can also reach us through our Contact Us page.